If you have never tried coconut shrimp you are really missing out. Deep fried shrimp that is battered with coconut makes a delightful tropical flavor you do not want to miss. Joes Crab Shack Coconut Shrimp – this is a refreshing way to prepare shrimp, don’t miss this recipe for a wonderful tropical flavor. Make Joes Crab Shack Coconut Shrimp at home with our recipe. 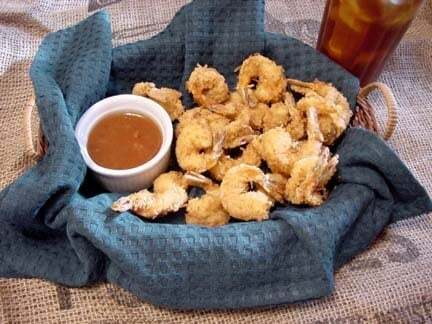 1 pound shrimp Make Joes Crab Shack Coconut Shrimp at home with our recipe. Mix eggs and water. Set aside. Place 1/3 cup of cornstarch in a bowl for a dusting of shrimp. Mix in separate bowl 1/3 cup (the remainder) of cornstarch, coconut, sugar, salt, and flour, blend well. Heat oil for deep frying. Roll shrimp in cornstarch, then in egg wash, then finally roll in coconut mixture. 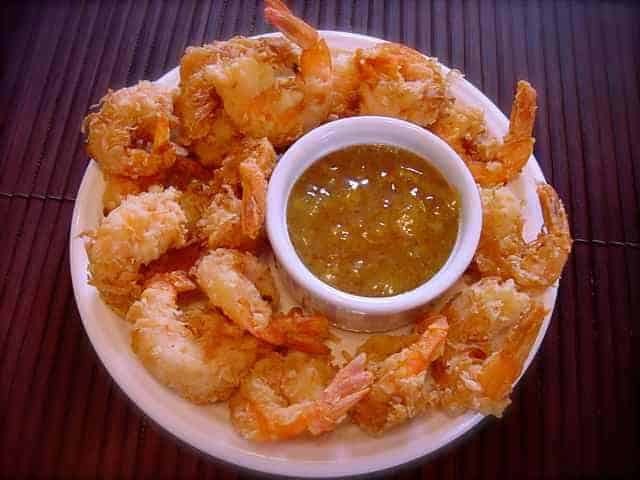 Place shrimp in hot oil and deep fry until done. Shrimp will float to the top when cooked. Take care not to overcook shrimp. Serve with Joe's Crab Shack Pineapple dipping sauce. What is the recipe for the pineapple sauce? Thanks so much! My son and I love these and now we can make them at home… Great Job!